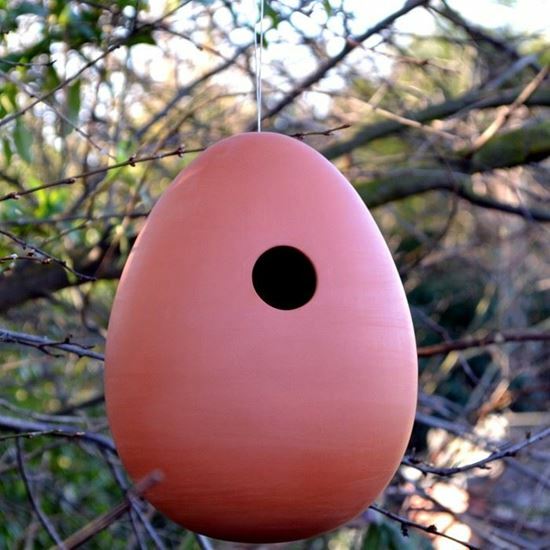 Our terracotta hanging egg shaped bird nester has been designed to provide a safe nesting environment for small birds. The entry hole is large enough to allow access to small wild birds whilst resricting access to larger predators. Our nature inspired design is supplied with a strong microcable loop attached for securely hanging in suitable places around the garden. There are small drainage holes in the base of the nester to provide drainage if required. Designed & made in the UK at our Nottinghamshire pottery.